Your mantel and fireplace takes front and center in your living room every day, but during the holidays, it should stand out even more. Because mantels are almost always the focal point of a room, what better place to decorate in the fall than that? 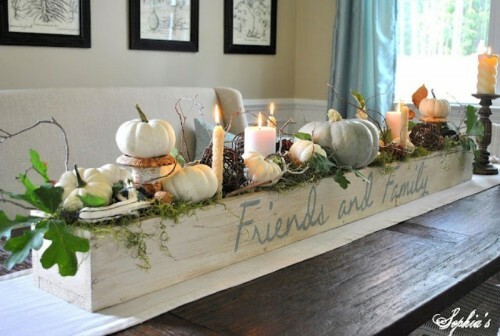 Whether your mantel is small or grand, there are so many ways to spruce it up with cute fall decorations. We’ve gathered a few of our favorites below! A fun banner: we like the idea of using words and sayings on your mantel. Hang a festive banner that says “thankful”, “give thanks”, “fall in love”, or for Halloween hang up a big “BOO!”. This one is a great way to involve the kids. 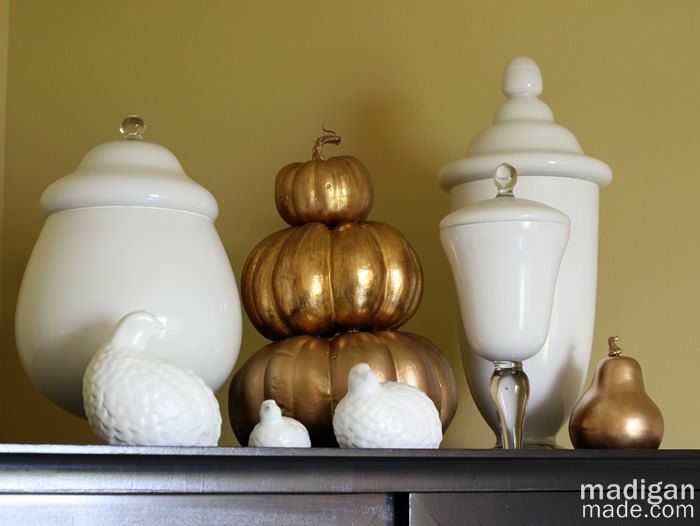 Decorate your mantel with pumpkins, but not the orange kind! 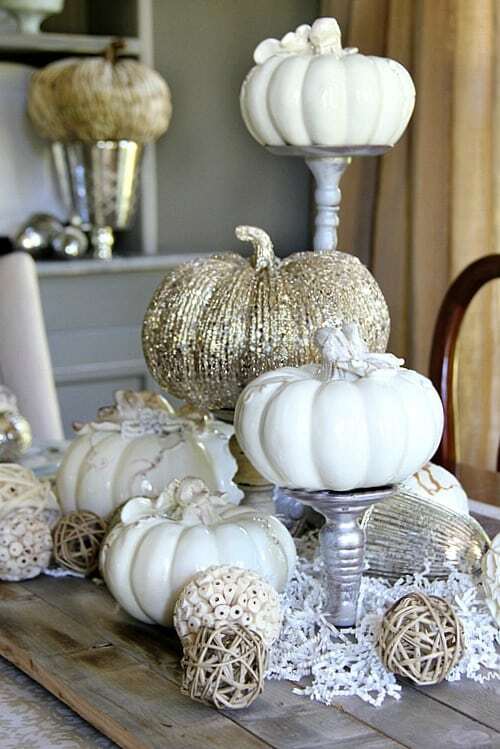 We love the idea of unusual colored pumpkins, like these gold, white and sage ones. If your home decor doesn’t mesh well with orange, you can still get in the fall spirit with other colors. This look is very modern too, so you’ll definitely stand out from the orange crowd! Hang a wreath inside! Get the family together to make a DIY fall wreath. There are so many DIY wreath tutorials online, it’ll be difficult to choose just one! We think this is a perfect way to decorate your mantel, especially if it was made spending time together because that’s what this season is all about. Thanks for reading, happy decorating and happy holidays! In honor of fall being a season of change, why not give your home a fresh look? 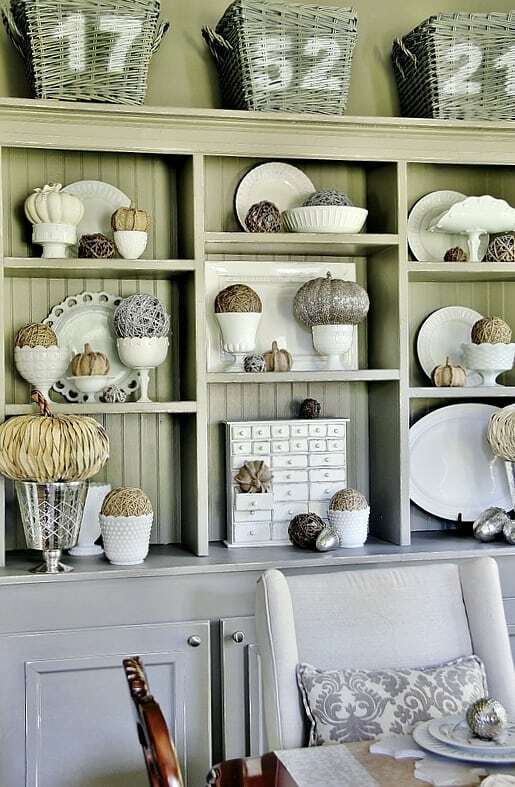 Here are 3 tips for trading your summer sun decor for fabulous fall looks! Color is characteristic of fall. Changing leaves, bright colored foods like squash, corn, and apples, and colorful sweaters, scarves, and boots. Here are a few autumn color palettes by Design Seeds that may help inspire you. Not inspired yet? Find a custom color palette by visiting the Design Seeds website. Flowers are great accents for any time of the year, but why not use leaves (real or fake), to spice up your home. Here are some unique ways to use foliage in your home! Use hand picked leaves to create a leaf bowl. Both charming and useful. Get the full post + instructions from The Krazy Coupon Lady. You can also frame your favorite leaves, place them on your mantel, or use them to make a luminous jar for a candle. 3. Trade "Nautical" for Knotted and Natural Accents. With fall in our midst, give in to the elegance and charm that nature has to offer. 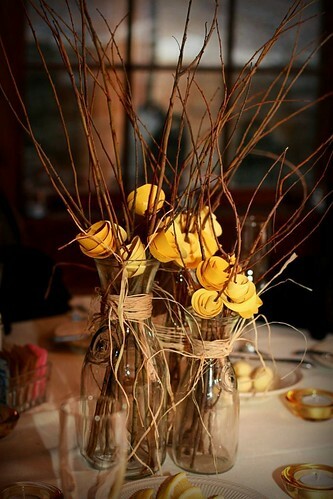 Although a stick can look just like...a stick, a cluster of sticks can be made into a lovely centerpiece. Not fond of wood in its natural state? Paint or glitter can add personality. Basically, you can use just about anything found in nature to spruce up your home. Mix a variety of textures, colors, and heights to create an appealing focal point. and colors by Thistlewood Farms. or corn, seeds, pinecones, and more! It's whatever you desire. 4. Don't be afraid to incorporate fall accents EVERYWHERE. or in your living room. In general, fall brings lots of GREAT treats. Have fun and happy decorating! !